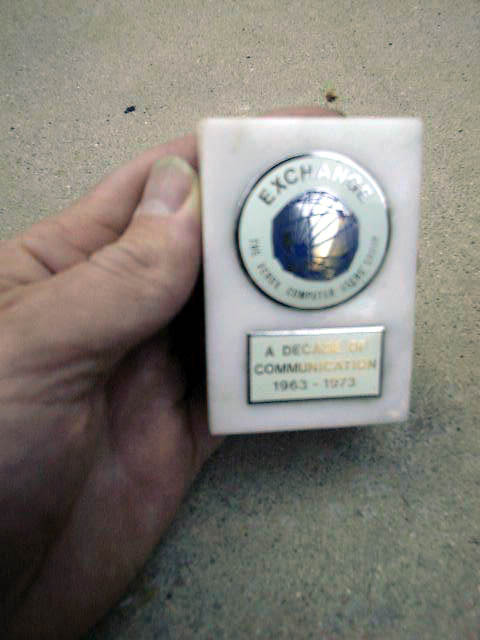 This marble paperweight is inscribed with "EXCHANGE, The Xerox Computer Users Group; A Decade of Communication 1963-1973". 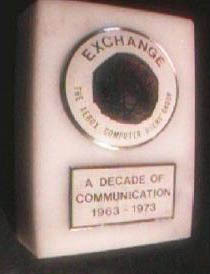 We expect that this refers to internal Xerox employees who used and supported computers as Xerox did not enter the computer business until the late 60s with the acquisition of SDS and Xerox PARC was not established until 1969. 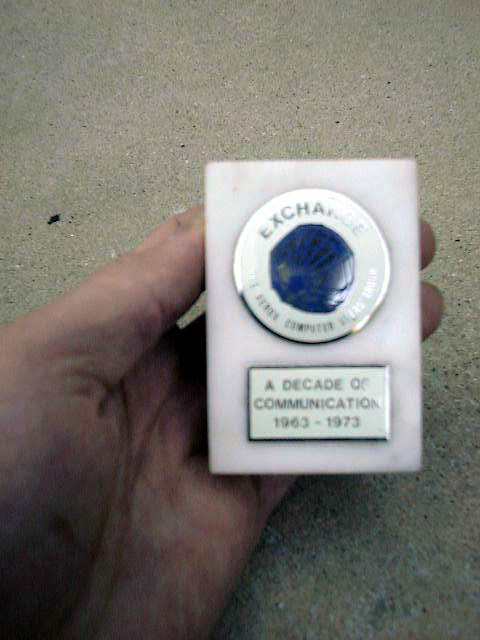 This might be one of the first references of Xerox and computers (1963). 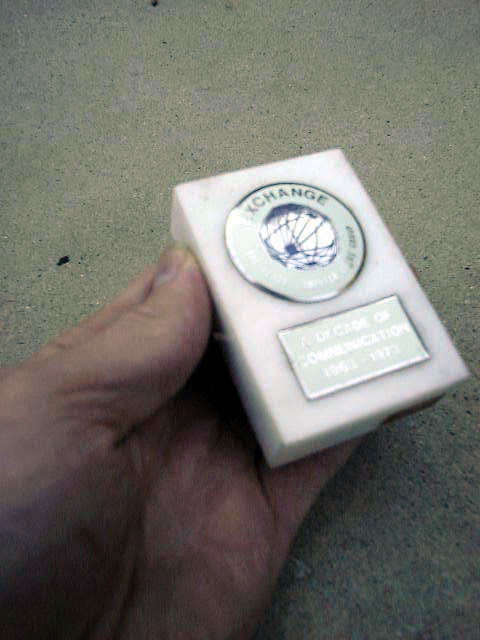 If you have any information about what this artifact refers to please contact us.